Wine of Valle Central, Chile. International Wine Challenge - awc-vienna.at - AWC Vienna Trophy 2012, 2013 & 2014. New World Producer of the Year 2016 - SWA Sommelier Wine Awards. San Francisco International Wine Competition - 2017 Best of Nation. Best Chilean wine producer. Warm, reliably sunny days and cool, refreshing nights create the perfect climate to make world class wines. 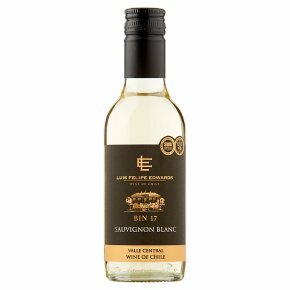 This vibrantly tropical Sauvignon Blanc is fresh and lively, a great aperitif and an ideal partner for smoked salmon, grilled fish, shellfish dishes and summer salads.